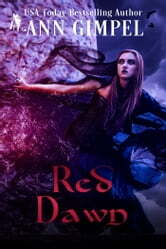 A deliciously different dark fantasy. Llyr is a whale shifter with a whale-sized problem. The seas are dying, poisoned by heavy metal contamination and barrels of trash. In a bold and desperate move, he and his mate Galatea, the Sea Witch, hatch up magic to allow him to spend as long as he needs to on land. Llyr masquerades as a marine biologist and signs on with a firm whose mission is to save the oceans, but his boss has been possessed by ancient evil that wants the whales dead. Desperate, Llyr returns to the sea for answers, but only finds more problems. Staring into the maw of his own destruction brands him, changes him irrevocably, and takes his choices away, but he can’t give up. Riding a fine edge between redemption and ruin, Llyr discovers his greatest fear may well save his people. What a WHALE of a story!!! 5 FINS UP! This is such a fin-tastic story!! I had the pleasure of reading this a few months ago when it was first published in the box set Paranormally Yours and I loved it!!! But when I heard that Ann had re-edited & reworked and was going to release it on its own, well I jumped at the chance to dive right back into this awesome tail! ummm, I mean, tale! I eagerly took the plunge back into Lyr & Galatea's story and immediately I was swept away back into a world where not only do whale shifters exist, but so do Nereids & Sea Witches, and so much more! I wasn't sure how, or if, Ann could improve on this story, but once again she manages to WOW me!! I have to admit, it is so hard for me to find the words to adequately describe just why & how much I adore both Ann & her writings!! There are so many 'little' things that Ann 'hides' in her stories, almost like those easter eggs you find in tv shows & movies. One example is the whale shifters take human form in order to find a way to save the oceans, another example: there is this one scene where Lyr & Galatea are trying to get their different types of magics to work together and this is said as a part of the explanation: 'Circe and her nymphs turned Odysseus and his men into animals. Remember? They had to roust Hermes to save them.' Ann takes something from our 'real' world and turns it into part of her story world, thus creating a link of sorts between “real” & fiction. THAT is just one perfect example of why I love Ann's writing - she can take little bits of this, that, real, created, myth or legend and blend it all into one terrific story that cannot be 'classed' into any one type or genre. The books are never cookie cutter, and even if Ann writes about a popular, “common” or “standard” paranormal species - like a shifter- she makes them wholly & completely unique and all hers! They are so far removed from being common place, it is as if you are reading your very first shifter book EVER! Which, if this is your first one by Ann, then it is in fact your first one!! Regardless if it is the first story Ann wrote, the latest one, or if it‘s a short story or full length novel, a series or stand alone, they each perfectly showcase Ann Gimpel’s phenomenal wealth of talent!! So if you are looking for that great new book – Red Dawn – and fabulous new author to love & stalk, look no further than Ann Gimpel!